Queen and Lap sizes in pattern. 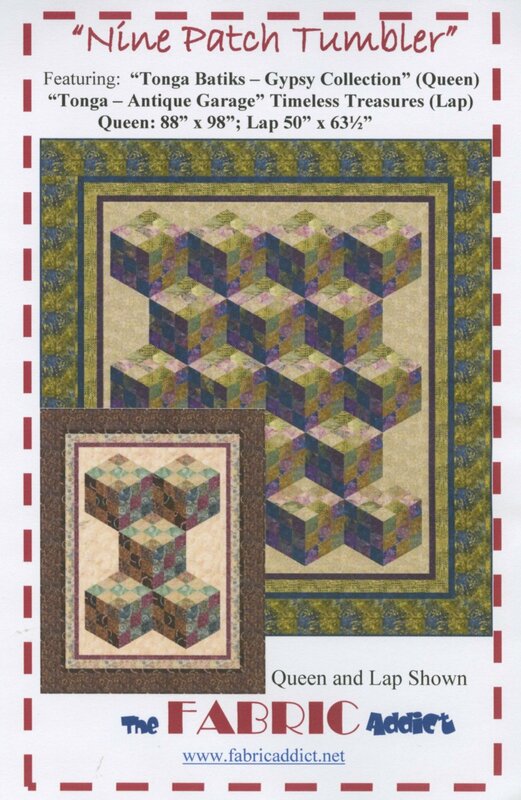 Pattern combines traditional Tumbling Block with Nine Patch to create a wonderful optical illusion. Intermediate Level.